Los Angeles Pierce College P.A.C.E. Pierce > Departments > Pace : Los Angeles Pierce College P.A.C.E. 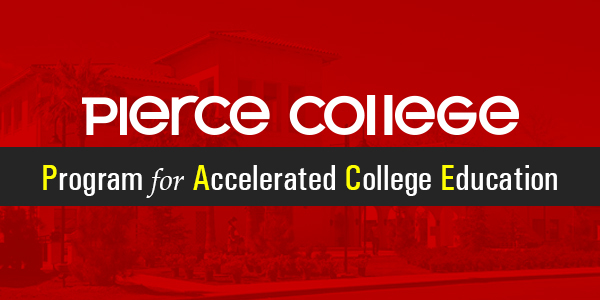 The Program for Accelerated College Education (PACE) is an accelerated college program designed to provide students with the ability to graduate in two years. PACE coursework meets transfer guidelines and is accelerated to fit into 8-week quarters instead of 16-week semesters. The PACE program is designed to allow students to earn their AA and be ready to transfer in two years by taking 10 classes every year. There are five PACE sessions offered in a school year: two in the fall, two in the spring, and one in the summer. PACE classes follow the CSU GE certified plan that can be applied to ANY Associate Degree for Transfer program. To become a PACE student, you must attend a Mandatory Orientation. Why PACE? 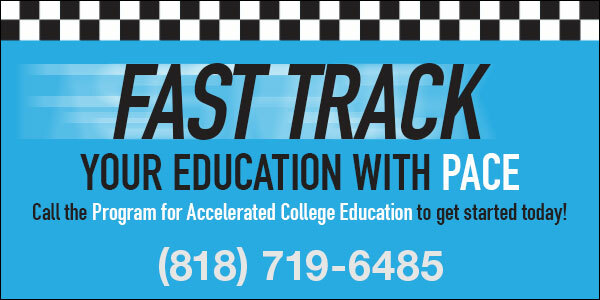 Fast track your education! Anyone can become a PACE student! PACE students complete a program of study at an accelerated rate. PACE students get the classes they need! PACE has higher class limits and classes are only open to PACE students. PACE students can take regular Pierce classes and PACE classes. This gives students more options when selecting classes. PACE has a structured plan for students to follow which simplifies enrollment. PACE classes are hybrid or all online which means less time on campus. PACE offers an alternative schedule — online classes, classes that meet one evening a week and every other Saturday, and classes that only meet one evening a week (No Saturday). PACE classes are quick! Classes are eight weeks in length. PACE has several educational paths; each path prepares students for transfer. PACE students can work full-time and attend college full-time. 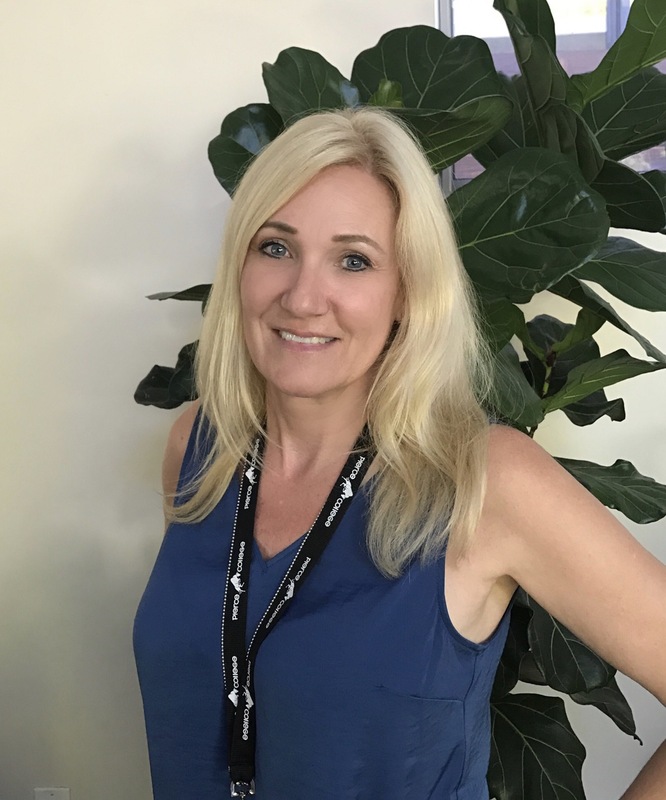 PACE has a designated counselor to assist students in planning their educational goals. Need help with English or math? PACE offers a Bridge program that is designed to meet the needs of students who do not place into either English 101 or Math 125. PACE is also designed so that students can seamlessly transfer to a variety of four-year institutions — public and private. PACE offers classes on-campus, fully online, and at the LAUSD Headquarters at 333 S. Beaudry Ave. Attention: Once the semester begins, students need to go to the class to get a permission code to add the class. For online classes, be sure to contact the instructor for a code. Do not forget to enter the permission code in the system to complete your enrollment. BEAUDRY: The "Beaudry General Studies Transfer Option" document shows the complete list of classes for the two-year A.A. Program at LAUSD Headquarters at 333 S. Beaudry Ave. The document lists classes to be offered and can help you keep track for graduation. This is a great planning tool. Available for download as an Adobe Acrobat Portable Document Format (PDF) and Microsoft Word document. Under each class, you will find IMPORTANT DATES. Click on the class section number to go into the class details section for the course. At the bottom of the page you will find the Important Dates section.